Locally owned and operated Investment Real Estate, LLC (IRE) announces the sale of Secure Stor Self Storage for $785,000 to a private investor. Secure Stor Self Storage is located on Richmond Highway in Concord, Virginia, approximately half way between Richmond and Roanoke. The property is comprised of four buildings and opened in 2003. 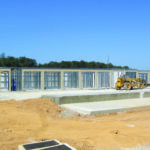 The facility consists of more than 130 storage units with more than a third of those being interior temperature controlled and the rest being traditional drive-up units. 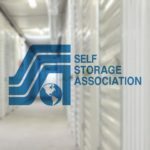 Secure Stor Self Storage features an on-site rental office which has been operated four days per week by a property manager. The property is highly visible and easily accessible from Richmond Highway with an average of 18,000 vehicles daily. Secure Stor Self Storage has been maintained to a high level, and was at 99% physical occupancy at the time of sale. The facility is comprised of 5 acres of B-1 general business zoned land, which includes room for a possible future expansion. Property improvements include perimeter fencing with keypad entry gate and asphalt drive aisles. The seller lives outside of the United States. Seller was sensitive toward the sharing of financial documents with potential buyers. Communication between buyer, seller and the seller’s local representatives. The valuation and selling process was done via online presentations and on-site broker meetings with potential buyers. IRE acted as an intermediary, obtaining and keeping physical copies of all materials and sharing the digital copies only with the parties directly involved in the exchange. 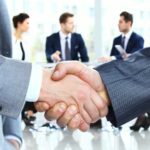 Organized and frequent communication between all parties allowed IRE to complete the transaction smoothly and on time. For more information, contact Jess Dubbs, Director of Marketing.